Taking the step from renter to homeowner is one of the most empowering and memorable moments in a person’s life. Before investing savings and committing to a mortgage agreement, however, it’s important to thoroughly inspect the home you want to buy and to understand the extent and cost of renovations it may need. 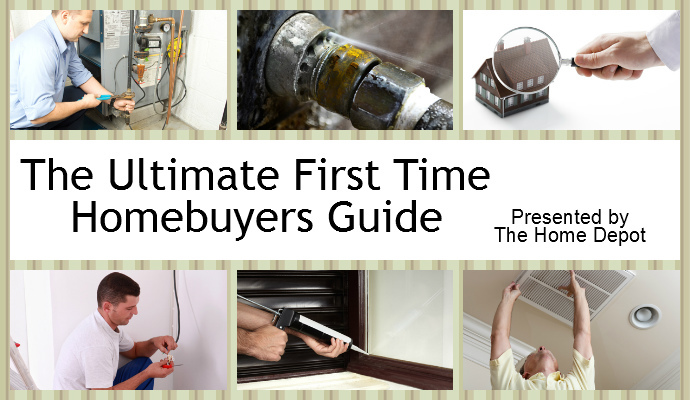 This resource guide, compiled by a team at The Home Depot, is designed to assist first-time homebuyers through the process of evaluating a home’s condition and understanding some of the most common repairs and renovations a house may require. The guide spans topics that include foundations, roofing, plumbing, heating and cooling and the electrical system. 1. Is the home structurally secure? 2. Do You Have a Solid Roof Over Your Head? Is There a Problem With Your Inbound Flow Causing Low Water Pressure? Does the Water Heater Need to Be Replaced? Do You Need to Replace the A/C Unit? Are the Doors and Windows Tightly Sealed? 7. Is the Electrical System Up to Code and Sufficient for Your Needs? 8. Is the home prepared for a natural disaster or severe weather? What Do You Need to Make Sure Your Home is Ready for a Storm? Are There Steps in Place to Avoid a Home Fire? For more great tips check out The Home Depot on Facebook and Twitter.